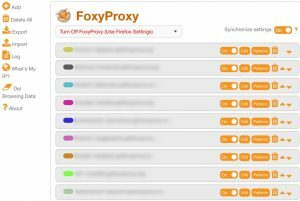 Install FoxyProxy for Firefox here. 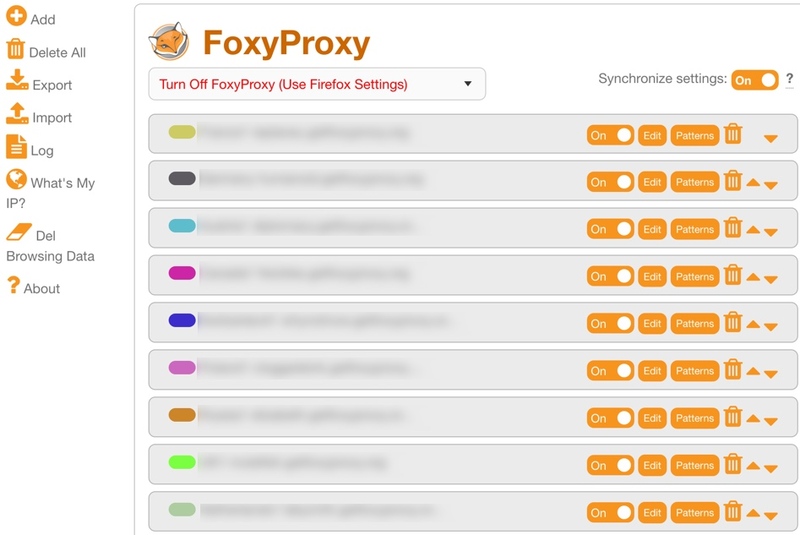 Open FoxyProxy for Firefox and click Import. Click the Browse… button and select the .json file containing the settings.